This article was first published in August 2014 and has been updated in April 2017. 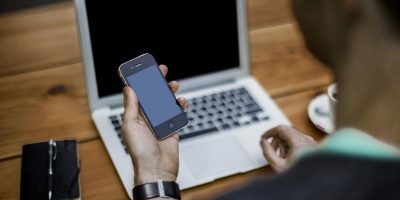 Mobile data plans are expensive, and access to a WiFi network is not always readily available. Do you find that your smartphone gobbles up data each month? 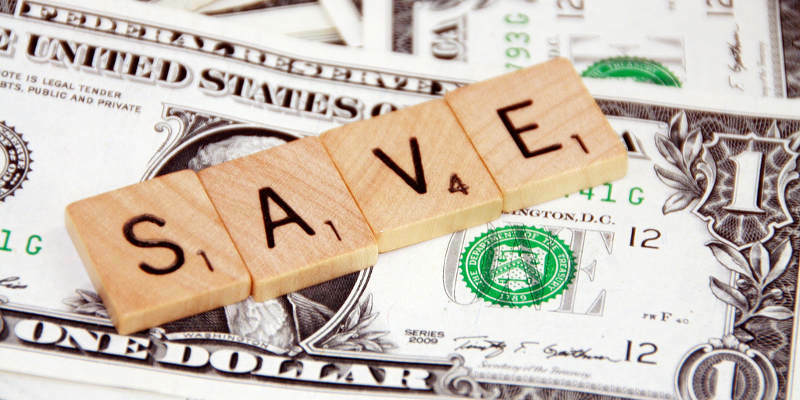 Here are ten tips to help you save money while using mobile data on Android. If you are on a limited data plan, then it is obvious that when you are not using it you should turn it off. 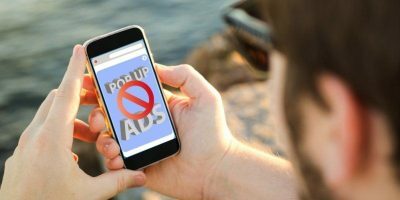 If you’re not actively using your data connection, turning it off is the only sure-fire way to prevent apps from sucking up your mobile data in the background. Another upside to doing this is that your battery life lasts longer. 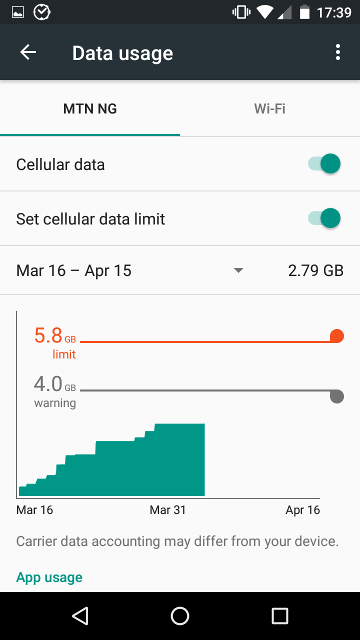 You can easily monitor your data usage and set a limit on data consumption through the Android settings. Simply head over to “Setting -> Data Usage” to see how much mobile data you have used over a period of time and the amounts of data used by individual apps. 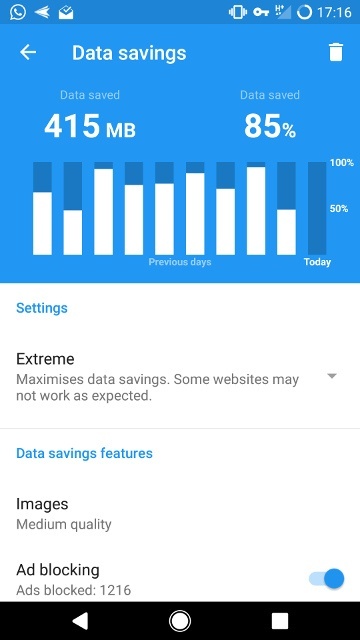 You can set a hard limit according to your data plan, and your mobile connection will be automatically cut off when you reach this limit. You can also specify a warning limit by dragging the grey line on the graph so that you can be notified when you are approaching this limit. There are some apps that are notorious for using a huge amount of data, so it’s a good idea to not use those while you’re on a mobile connection. 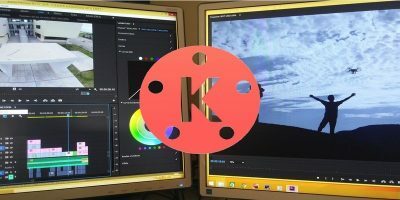 In many cases you can find data-friendly alternatives to such apps that will still provide the necessary functionality while saving you some money. Facebook Lite is a data-friendly alternative to the Facebook app which is known to use inordinate amounts of data in the background and wrecks havoc on your battery life. Hermit Lite Apps allow you to replace many data-hungry apps with lite apps that don’t waste your limited resources while increasing privacy and security on your smartphone. If you insist on using data-hungry apps, you should at least restrict their usage of data in the background. This can be achieved by heading to “Settings -> Data usage.” You’ll see a list of apps and how much data each one has used over the specified period. Tap on the app you want to prevent from updating in background. 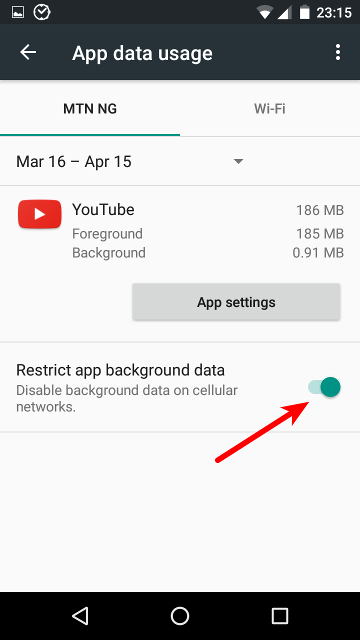 Turn on the option to “Restrict app background data.” This will prevent the app from sucking up your mobile data when it’s not in active use. 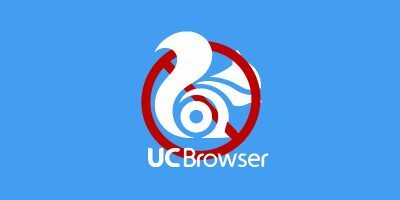 This will also prevent the app from sending you push notifications for new messages or emails, so do consider that before restricting any app. If you use Chrome for Android, make sure to enable its data-saving mode which compresses all data before it is sent to your device. You can do this by heading to “Settings -> Data Saver” within Chrome and togglung the “On” switch. 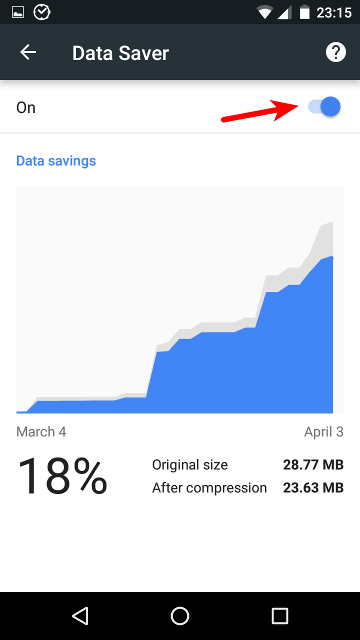 Over time you will see a graph which will display how much data you’ve saved. 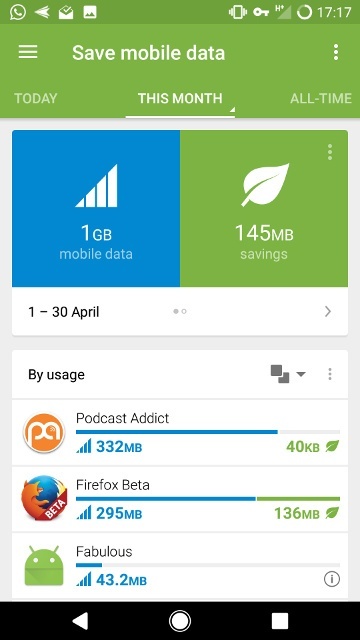 A good way to reduce your mobile data usage is to cache app content for use offline. For example, Google Maps allows you to save maps to your phone so that you can use them when offline. 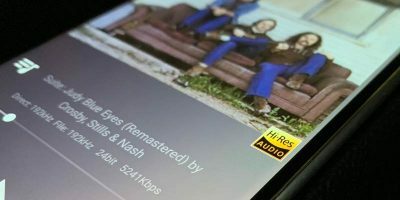 Spotify enables you to save music and playlists to your device so that you can listen to them without streaming. 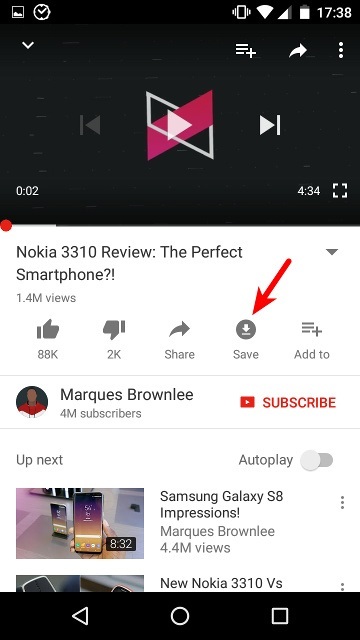 YouTube also allows you to save videos while using WiFi so that you can view them when offline. 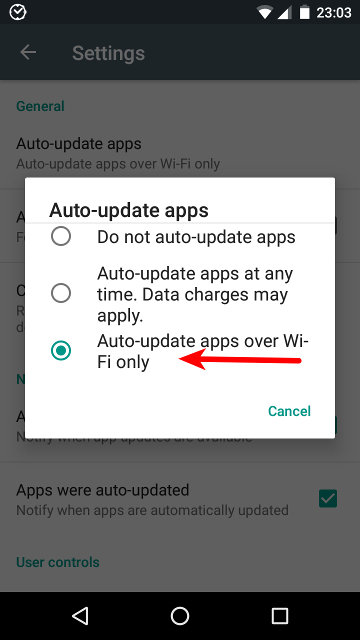 You should definitely check whether your favourite apps have a similar feature that will help you save content when on a WiFi connection for use when offline. 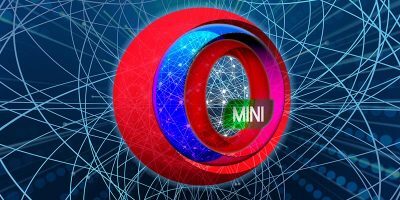 If you’re serious about saving mobile data, you should consider installing Opera Max which compresses all data before it is sent to your phone. 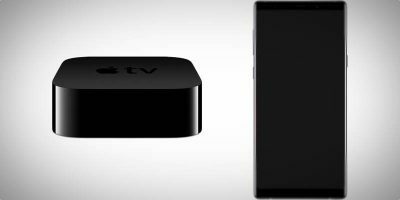 This works with regular surfing of the Internet, music and video streaming, and other activities. You may notice the quality of video streams visibly lowered due to this compression, but that’s a tradeoff you have to live with if you go down this route. Many popular apps have settings that you can tweak to reduce data usage. 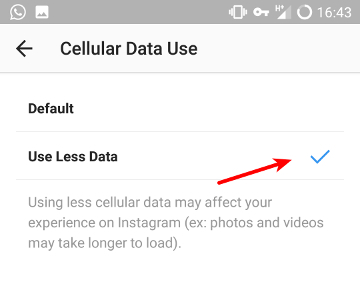 Twitter, YouTube and Instagram are some of the ones I use that have options to help you reduce data usage while using the app. Launch the Twitter app and swipe from the left side to bring up the menu. 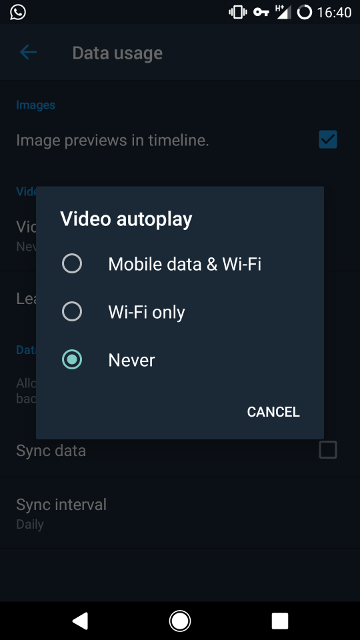 From here you can control if videos are auto-played over a mobile connection or not at all. Go to your profile page and click the three dots at the top-right corner. Scroll down the page and find the “Cellular Data Use” option. Launch the app and tap the three dots at the top-right corner. Tap “General” and turn on the “Limit mobile data usage” option. 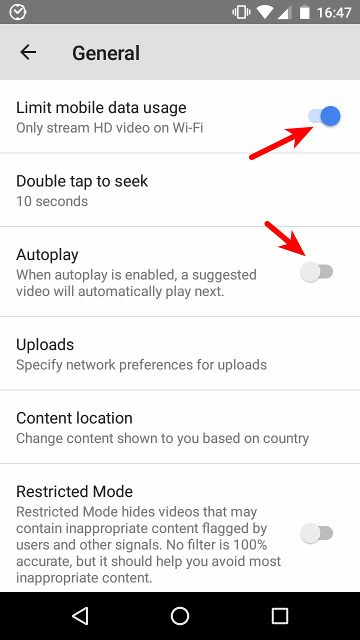 You can also turn off Autoplay while you’re at it. Do explore the settings page of your favourite apps to see if these sort of options exist and fine-tune them to reduce the data consumed by such apps. Data consumption is hard to limit, but these tips should help. Have you tried any of these methods? Share your thoughts in the comments section below. I do have my music on an sd card but the app i use is already installed on my phone which I think in turn is using the internet.Any way I can bypass using it? Disabling background apps is more like going off-grid.